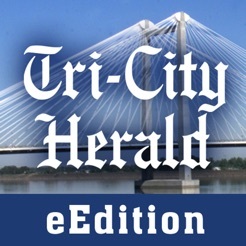 The Tri-City Herald eEdition lets you read the newspaper on your mobile device just as it appears in print. 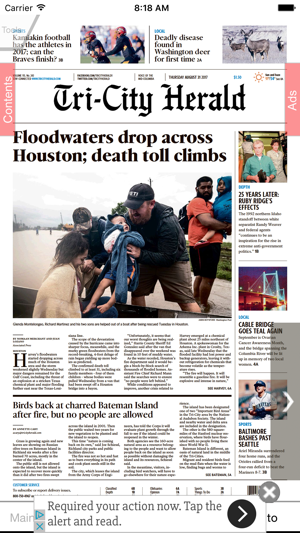 You can flip through the pages or skim Mid-Columbia's number one news source. The app easily allows you to enlarge type, jump from section to section and share articles on Facebook with the tap of your finger. If you missed a day, don’t worry, you can download editions from the past 14 days. The ability to select a specific day does not appear to working since the upgrade to IOS10. I can only scroll through the days going backward. I cannot scroll forward once I go back a day. The only way to move forward is to wait until the next day when the new issue posts.